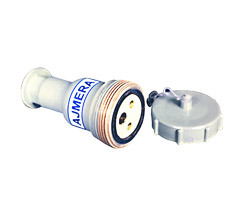 2601/S 10A/250V, 3 pin Cast Aluminium body socket with procelain insertion & procelain connector with brass terminals with two cable entries with plastic cable glands. 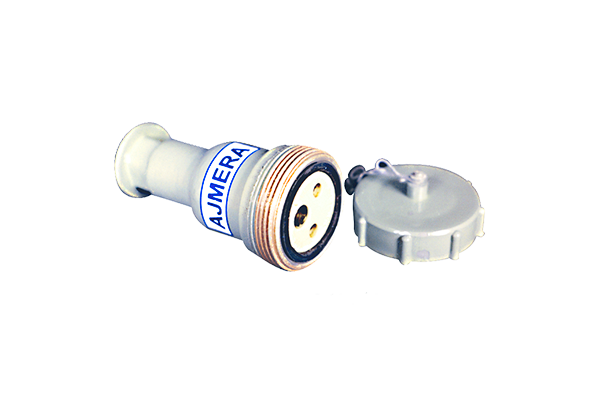 Plastic/ Metallic cap with chain for socket when not in use. SS hardware. 2617/S 30 A. 415 V. 4 pin cast Aluminium body socket with porcelain insertion and porcelain connector with Brass terminals 2 Nos. Cable entries with Plastic cable glands. 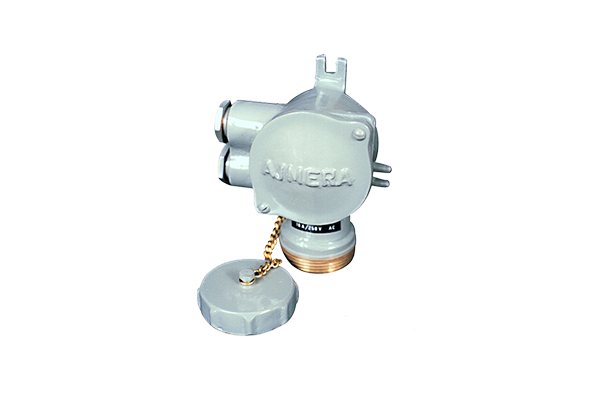 Aluminium / Plastic cap with chain for socket when not in use. Socket available with cast Aluminium 4 pin suitable plug. 2601/SF 10 A. 250 V. 3 pin female type socket. 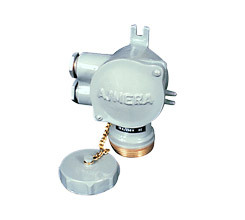 Cast Aluminium body socket with cap and chain. Note: 2 Nos. 10A./15A. Socket insertion in single box also available as per requirement.